Maltese residents pay income tax on their worldwide income. Resident foreigners are taxed on their income sourced in Malta. Married couples are assessed and taxed jointly. The following income categories are taxed in Malta: (1) trade or business income; (2) professional or vocational income; employment or office income; dividends, interests or discount; (3) pensions, annuities or annual payments; (4) rents, royalties, premiums, and any other income arising from property; (5) certain capital gains; and (6) other income, gains, or profits. Income is taxed at progressive rates. Different tax bands apply to married couples filing jointly and single taxpayers (including married couples electing to be taxed separately). Allowance of 20% on the gross income remaining after deducting the rent and the license fees. The standard 20% allowance covers maintenance costs, repairs, and other related expenses. In Malta, Capital Gains Tax is actually a transaction cost and not a tax on capital gains. Capital Gains Tax is generally levied at a flat rate of 12% on the transfer value or the selling price. Only brokerage fees can be deducted from the selling price. During the sale, a provisional tax equal to 12% of the selling price must be paid to the notary public who will then pass it on to the Inland Revenue as payment of the tax liability. 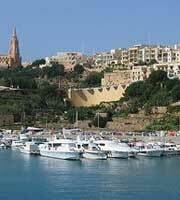 There are no property taxes levied in the Islands of Malta. Income and capital gains earned by companies are generally taxed at a flat rate of 35%. Income-generating expenses are deductible when calculating taxable income. In line with the Republic of Malta´s accession to the European Union in 01 May 2004, the government has relaxed its immigration policies to further attract foreign investors. The Residents Scheme Regulations of 2004 grants permanent residency to foreign nationals who have an annual income of at least €23,246 arising outside of Malta or hold capital assets worth at least €349,000. The given amounts are not required to be remitted to the country. However, documents must be presented to support this. The value of a property purchased in the country is credited to the capital requirement. No minimum residence or stay is required when one receives permanent residence. However, he is expected to visit Malta within the first year to register as a Maltese taxpayer with the Inland Revenue and have his passport stamped. He must also fulfill the residence purchase requirement within the given year. Take note: acquiring permanent residency in Malta does not grant permission to work in the Islands. One may only hold directorship in an International Trading or Holding Company or use the country as a base for freelance services directed overseas, but he is prohibited from offering his services in the local market. It is necessary to obtain a separate work permit for this.